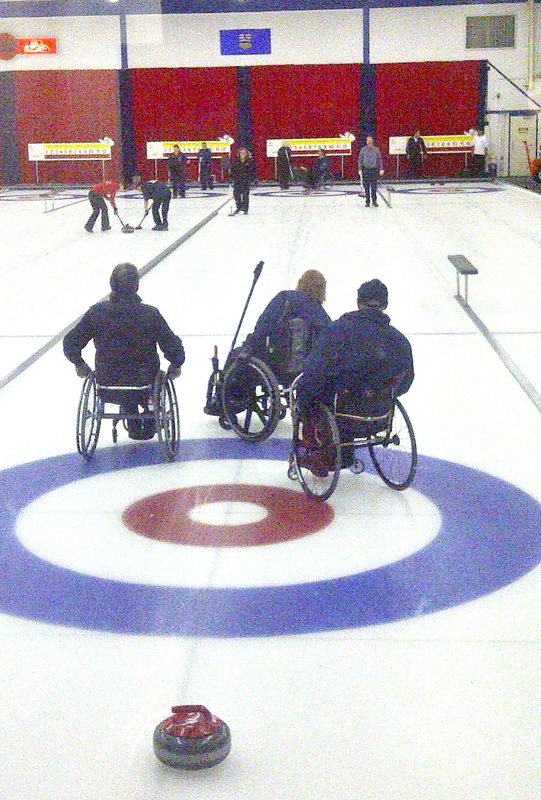 Twenty six wheelchair users and a dozen coaches will gather this weekend at the Richmond CC in British Columbia, the pay-off to last season's promise that the regional development camps held across the country would lead to opportunities to connect with the present Team Canada squad and their coaches. Attendees will have an opportunity to learn what it takes to win at the international level, and use those insights to strengthen their provincial programmes. It's easy to underestimate just how much work, and how many hours go into developing the skills that underpin winning performance, hours that for the national squad are eased by financial support, and guided by coaching staff with the resources to analyse and adjust performance. 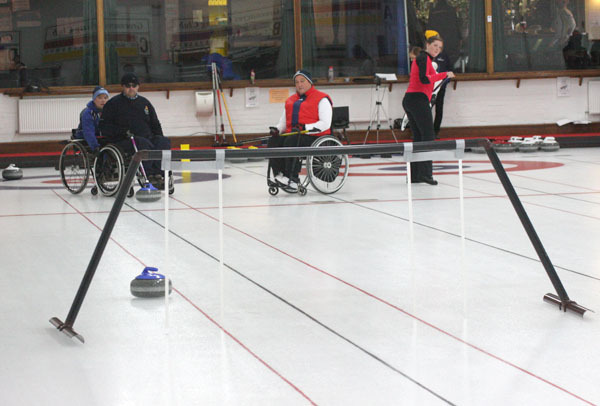 While Canada is blessed with enormous coaching experience across the country, specific experience in wheelchair curling is very limited outside of the national program, and the efforts of a handful of provincially based coaches volunteering their time. So the weekend will be an opportunity to spread the word about good practices and proven methods that can improve standards nationally. It will also probably demonstrate how wide is the gap both in execution and ambition between those athletes with access to expert coaching and training and the resources to devote significant hours each week to their sport, and those making their own way. Expert coaching can change that equation, especially in the area of technique, on which all else rests, and which even experienced able-bodied coaches will find alien. A stable repeatable delivery is essential to success, and while individuals will differ in their throwing motions, delivery positions, and stick configurations depending on their physique, an educated eye can help maintain the consistency that eventually allows for measured change of force, and the ability to judge distance. Anyone disappointed at not receiving an invite to Richmond can console themselves knowing that with a settled squad holding both Paralympic and World titles and unlikely to voluntarily give up carding system booty, the opportunity to break into the squad before 2014, baring accident, illness or even more dramatic legal imbroglios than a felony drug distribution conviction, remains slim to none. The true worth of the weekend will be whether teams competing in Thunder Bay next March arrive better prepared to bridge the gap between the National Champions, and the chosen. 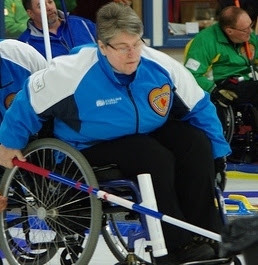 Johanne Daley, who brought a wealth of high performance sport experience to her debut on curling ice in 2008, is this week's featured ahlete on the CCA website. Discover what rule she'd change, and how hard she can throw a takeout and much more in Jean Mills' profile HERE. 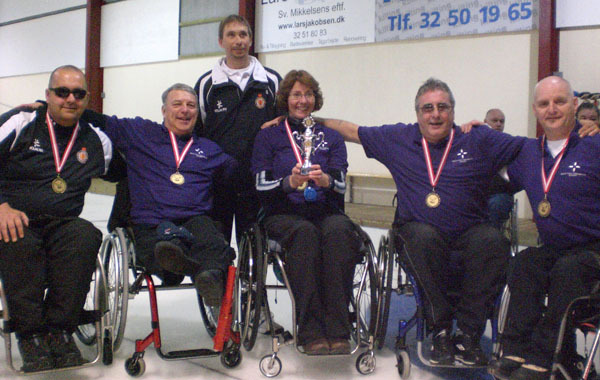 The 6th Prague Open will be held in the Czech Republic from November 25th to November 27th at the Prague curling hall. Entry forms and hotel information are available HERE and the booking deadline is October 24. The 5th Annual Danish Open in Tårnby September 9-11 attracted a full complement of ten teams to open the 2011/2012 competitive curling season. Scotland, Russia and Norway each sent two teams, and Germany, Finland, Czech Republic and Denmark also competed. Scotland II and the Czechs topped their groups (which were scored on more than won/loss records) with the Scots running our easy winners in the crossover gold medal game and Russia I taking 3rd. Gregor Ewan moved from Scotland I for the final two games replacing an injured Jim Gault, and did a fine job of calming any rookie nerves from Ian Donaldson and Gill Keith, according to coach Tony Zummack. Final Standings - teams played a final crossover game between the two pools. The Scots were coming from an intensive two week camp that straddled the end of August, one of several innovations their full-time coach has introduced this season. As reported by Bob Cowan, the wheelchair curlers attended as part of the newly integrated Royal Club/British Curling World Class Performance Programme, sharing ice and classroom time. "It was a really good camp," said Zummack, and after eight days we had the opportunity to bring in some other competitive wheelchair curlers for a day, and then finish with a well-attended "give-it-a-go" session for wheelchair users and people interested in coaching, that several senior players stayed around for. 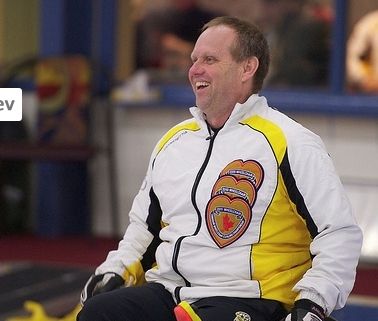 "We're spending a lot of time on the ice in supervised practice," he said, possible with a full-time national wheelchair coach. "From now on the squad of eight will be spending at least two 4-hour practice sessions a week, some where they will come to me, and some where I will travel to them. This hasn't been done in Scotland before, and we'll see how it goes this season, then evaluate. "Six of the squad are using a parallel delivery and seven are using the (Eales) off-side brace, but the most important thing is they use a delivery that fits their body and with which they feel comfortable." It also appears they have dropped the long-range shooting style favoured by the previous regime.